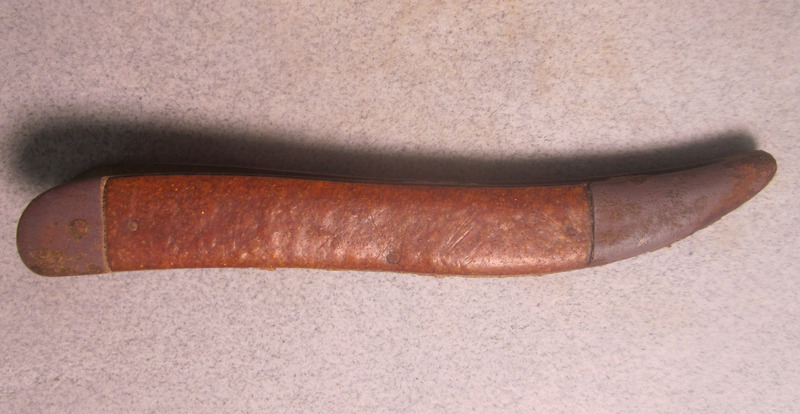 Civil War period bone handle pocket knife. Dug at Bermuda Hundred. This knife is complete with the entire handle present and in great shape. It has become opened at one end. 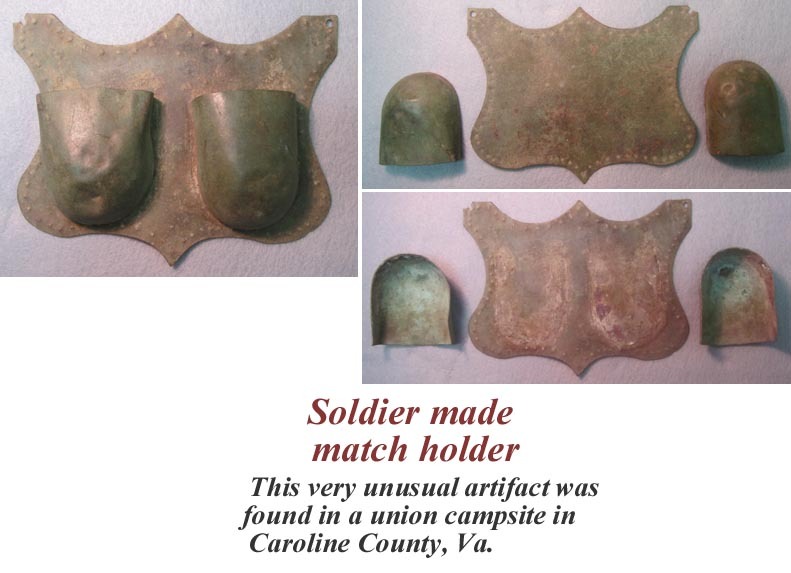 This very unusual artifact was found in a union campsite in Caroline County, Virginia. This artifact measure's approximately 7" wide by 6-3/4" tall. 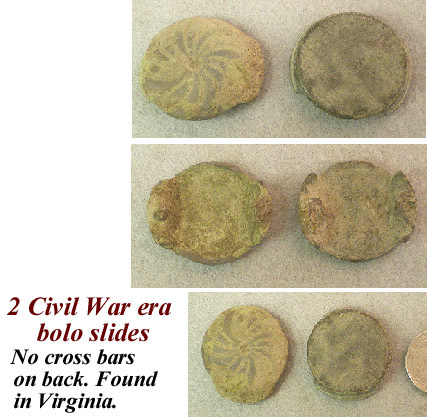 These iron heels were excavated in Culpeper County, Virginia. They have been sprayed with clear acrylic. 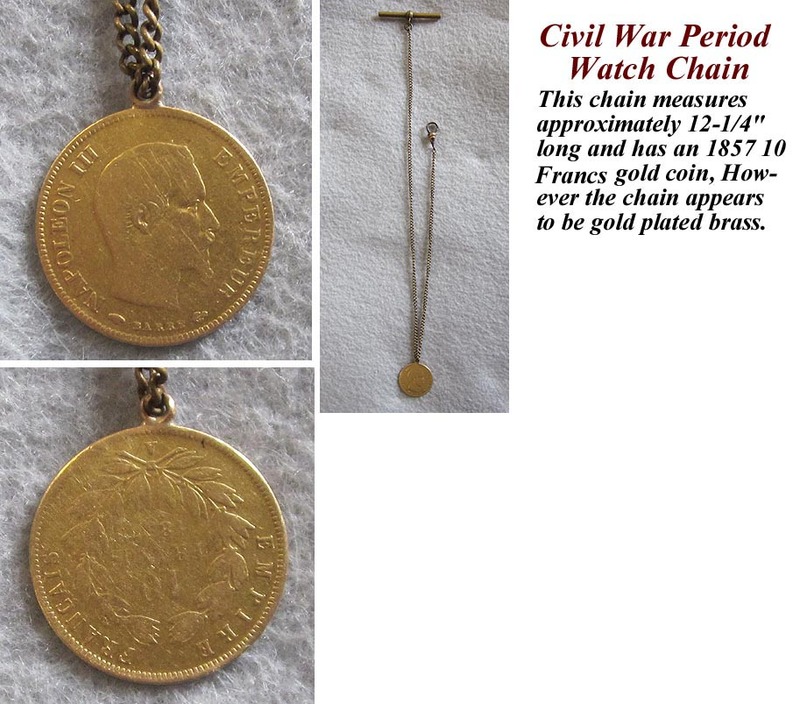 Civil War Period Watch Chain made with an 1857 10 Francs Gold Coin. This chain measures proximately 12-1/4" long and has an 1857 10 Francs gold coin, However the chain appears to be gold plated brass. 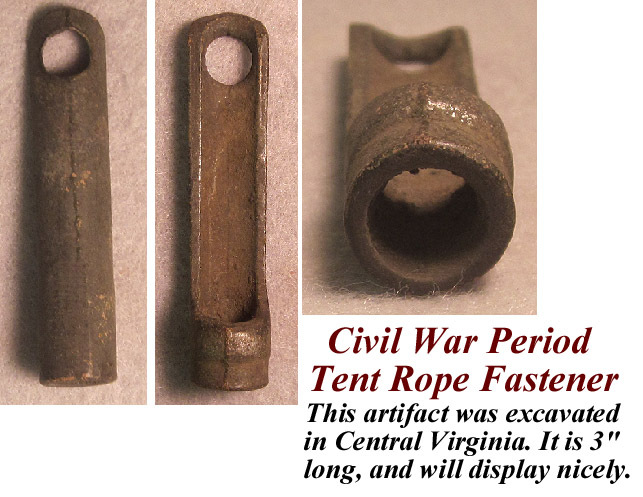 Civil War Period Tent Rope Fastener. 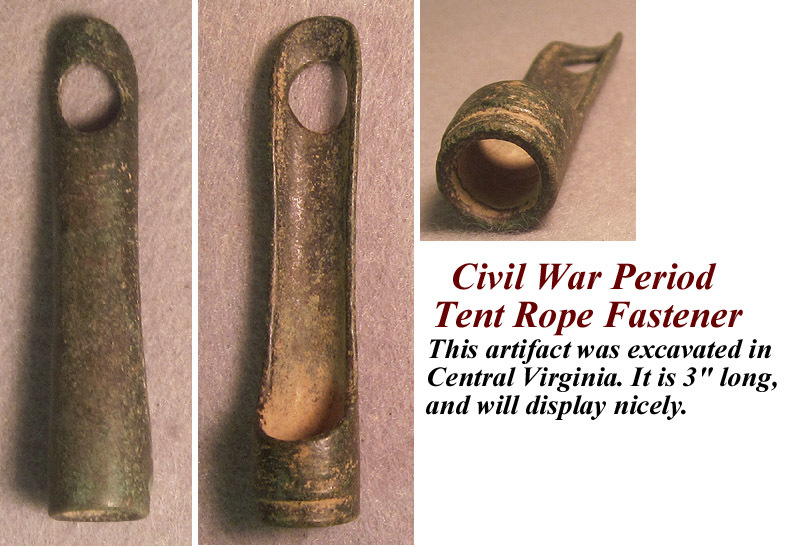 This artifact was excavated in Central Virginia. It is 3" long, and will display nicely. 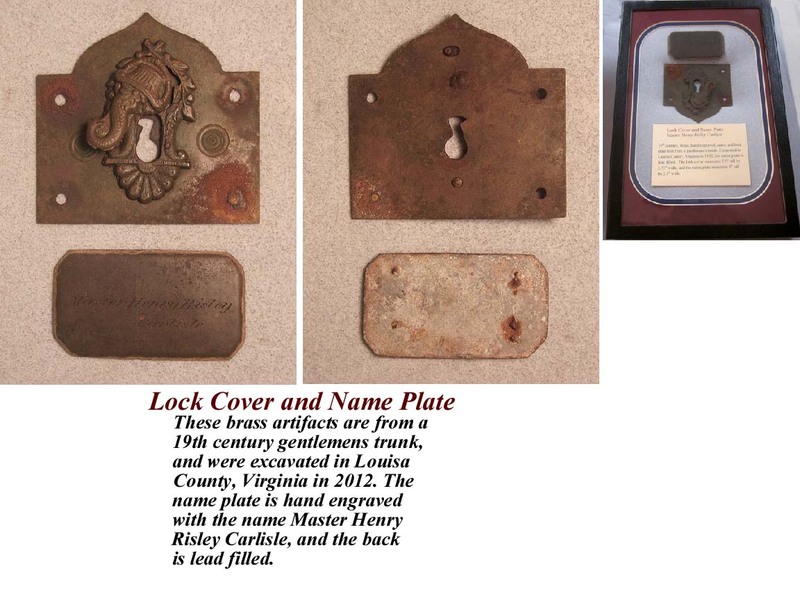 Lock Cover and Name Plate. 2-3/4" wide, and the name plate measures 1" tall by 2.5" wide. Sgt.Riker case, as shown in the picture. 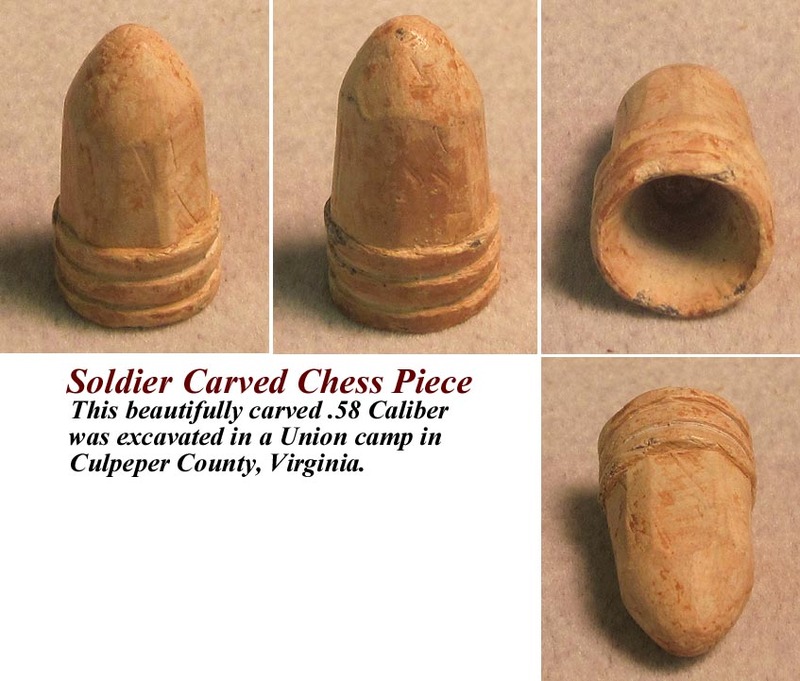 in a Union camp in Culpeper County, Virginia. 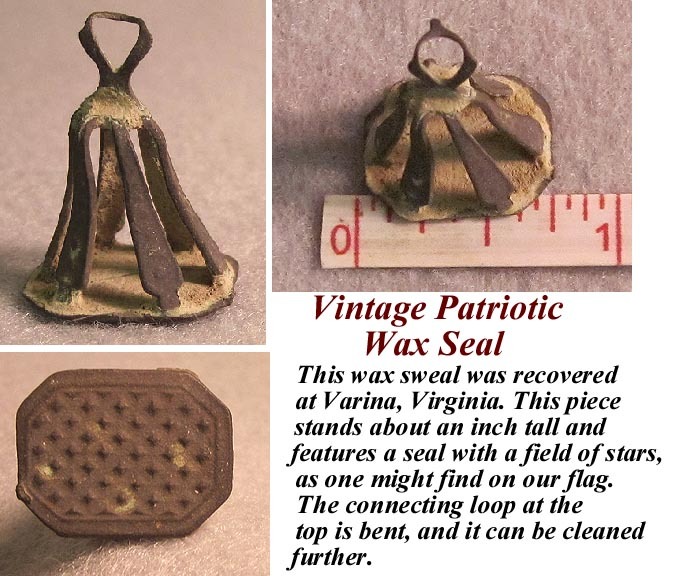 This wax seal was recovered at Varina, Virginia. This piece stands about an inch tall and features a seal with a field of stars, as one might find on our flag. The connecting loop at the top is bent, and it can be cleaned further. It will display well in any collection. 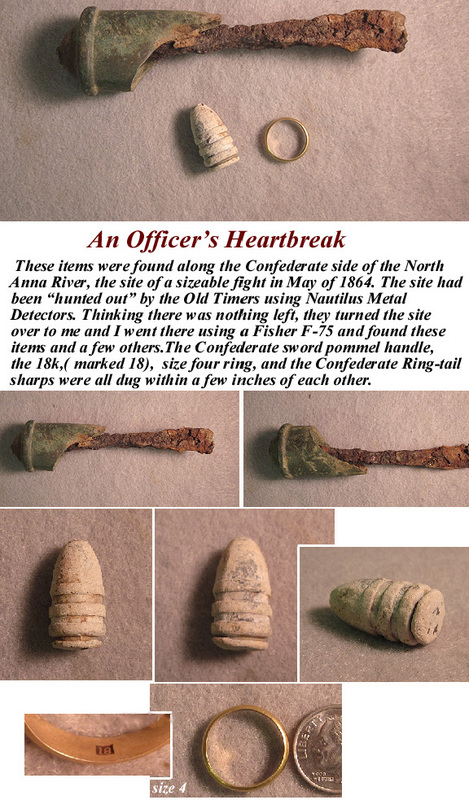 Civil War relic wax seal. 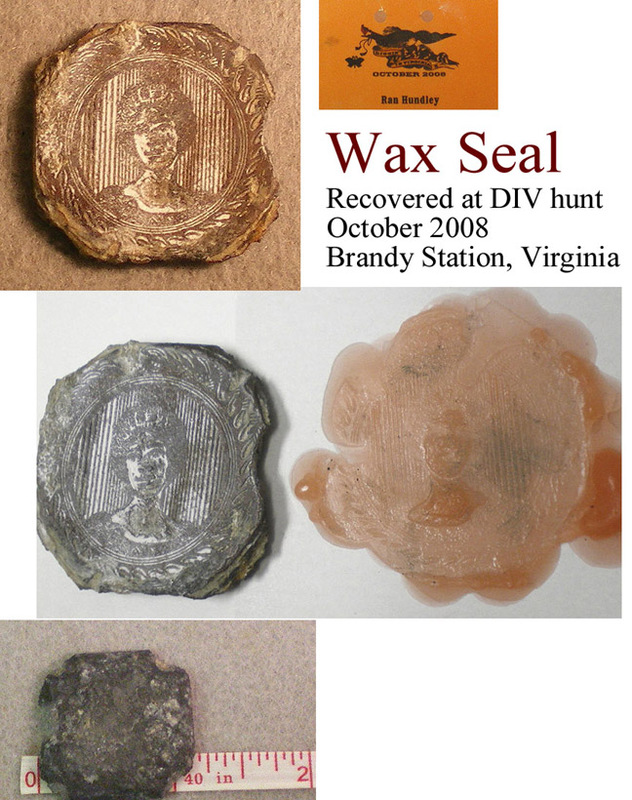 This seal was recovered at the Diggin In Virginia hunt in October 2008 in a Union camp at Brandy Rock Farm. This seal is about 1-1/8 inches square. Your seal includes 2 wax impressions and the digger's original tag; it comes displayed in a Sgt. Riker case.